Phoenix garage doors repair endows its valued and caring customers a fast, friendly garage door repair service that endorses their trust in us. It is your security that we have in mind when we answer your emergency call through 24 hrs. We fix garage doors, change springs, take orders for new garage doors and fit in new parts with old doors which will still serve the purpose. We also have a lifetime warranty services for certain special products and our fully trained technicians handle these special products proficiently. 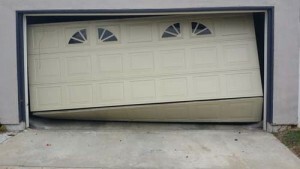 Garage doors must always have additional bracing. Heavier gauge tracking and other necessary hardware help to keep them in place under the impact of strong winds. While buying a new door Phoenix garage doors repair wants their discerning clients to look for storm ready models that are inbuilt with reinforcement systems. The structure of the door is not hampered and remains locked guarding your property. Mostly the price of a new garage door excludes a garage door opener which is a separate purchase.